All you need to do is fill out the form below to be entered in the draw. Closing date: March 20, 2019 at 23.59. Marketing Permissions YES! Please sign me up to Original Gravity’s amazing newsletter! The Entry Period for the Competition is open from 28th February 2019, and closes 20th March 2019. The Promoter reserves the right to modify, terminate, suspend or extend the Competition at any time without prior notice. Original Gravity Magazine may use the information you have provided to contact you via email. We will keep your details safe. Personal information provided by entrants will also be used to administer the competition. If you choose to sign up to our newsletter, we will use your information you provide to send you the newsletter. Entrants agree that the Competition is governed, interpreted and enforced by the laws of England and Wales and by entering, all entrants submit to the jurisdiction of the Courts of England and Wales. By Pete Brown, Like New York, Chicago has the power to make you marvel at its very existence. When you walk its streets, they whisper of greatness. The soaring buildings make you feel special, privileged to be here. It’s not a coherent feeling – immediately you’re questioning its reality, remembering who you are and what your life is like, and there are always homeless people to remind you that any gilded city has its troubled underside. But that doesn’t stop the cityscape pumping it out, a constant wave of awe and seduction, soundtracked by Gershwin within your head, and the constant peal of sirens without. It’s created by humans, but superhuman in scale: you see glimpses of Gotham around every corner, partly thanks to DC shooting its movies here while Marvel takes New York. Chicago certainly has a heroic reputation for drink. People here have an easier attitude to alcohol and are proud of their drinking prowess. From dive bars to restaurants, the tables are always full. But until recently, the Second City lagged behind most other major cities in the US when it comes to a thriving craft beer scene. A few years ago, Chicago noticed this. Now, if you sit at the bar in a legendary pub like the Map Room (1949 N. Hoyne Ave, www.maproom.com) you’ll soon be engaged in conversation by a local aficionado insisting that this is the best city for beer in North America, bar none. While I can’t quite agree that it’s there yet, it’s great and inspiring fun exploring the case for the defence. 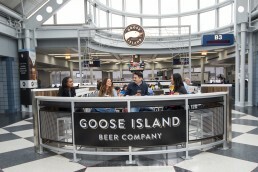 For nearly thirty years, Chicago has been synonymous with Goose Island, the craft brewing pioneer that was bought by Anheuser Busch in 2011, and is therefore, according to America’s official definition, no longer a craft brewer. More on that later. But having such a brewing behemoth in town has a ripple effect. Some brewers who learn their draft with Goose Island go on to smaller things, and there’s now a thriving microbrewery and brewpub scene driven often by Goose alumni. 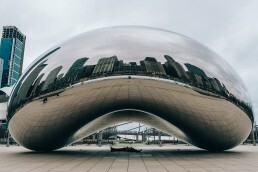 Beyond that impressive downtown core, Chicago sprawls north and south along the shore of Lake Michigan and inland, reaching for the plains of the Midwest. 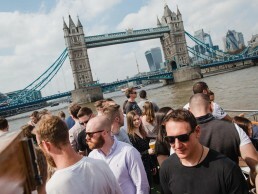 Pub-crawls are only really possible with Uber, or its more appealing new competitor, Lift. Each chosen destination seems to be ten minutes away from the last no matter how you plan it. A good place to start is Logan Square, west of downtown. This is Chicago’s answer to Dalston in London, or Brooklyn’s Williamsburg – the formerly run-down, scuzzy bit that’s now gentrifying faster than the rest of the city and is currently synonymous with hipsters. 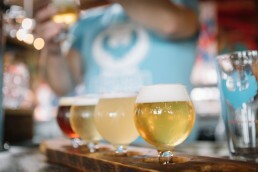 Across the road from where the L-Train rumbles between the upper storeys, amid a flurry of Mexican restaurants and grimy bottle shops, stands Revolution (2323 N Milwaukee Ave https://revbrew.com/)founded by former Goose brewer Josh Deth in 2010. As well as the mandatory range of pale ales and IPAs, Revolution has a refreshing exploration of traditional styles such as Kolsch, English style golden ale and even mild. These show that ‘balance’ is not a dirty word, and that American brewers can create tasty beers below 5% ABV. The pizza is great too. Further north is Half Acre (4257 N Lincoln Ave, www.halfacrebeer.com), just down the road from new cider bar the Northman (4337 N Lincoln Ave, www.thenorthman.com). Half Acre’s Gone Away IPA won silver at the Great American Beer Festival in 2014 and is revered as one of America’s best IPAs, but again, the full range is far more varied stylistically. More experimental are Off Color (3925 W Dickens Ave, www.offcolorbrewing.com) founded by former Goose brewer John Laffler and his business partner Dave Bleitner, and Forbidden Root (1746 W Chicago Ave, www.forbiddenroot.com) a brewery and restaurant in which revered beer writer Randy Mosher is one of the partners. Both these breweries have an experimental approach to ingredients – Randy’s title is ‘alchemist’ – and in each case you feel you’re in the presence of someone who really understands flavour on a deep level. Even the most unlikely sounding beers (Off Color does a beer with graham crackers and Forbidden Root one that uses the botanicals that create FernetBranca) are thoughtful and intriguing rather than brash and sensational. But no beery tour of Chicago is complete without a visit to the new taproom at Goose Island (1800 W Fulton St, www.gooseisland.com). In a space carved from the heart of the brewery, beers as flavourful and experimental as any in town constantly rotate. The vast acreage of the barrel warehouse nearby, where stouts are aged in bourbon casks and fruit beers aged in wine barrels, proves that in this case at least, the big nasty corporate is heavily investing in good beer rather than compromising it or watering it down. I’m sure they have their reasons, and if you’re just after good beer, it’s refreshing and inspiring to see how the big money is being spent. 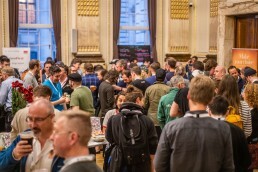 But if your definition of craft beer means you can’t drink anything owned by a macro brewer, well, they say a principle is worthless until it cost you something, and Chicago offers plenty of alternatives, on every scale. 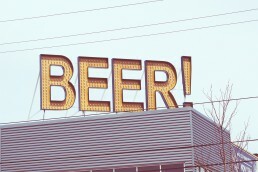 Finally, this larger-than-life drinking city has a beer scene that lives up to its needs. 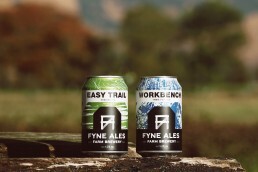 Independent Scottish brewery Fyne Ales has unveiled an updated brand identity and outlined plans to introduce new products to its core range, including two canned beers. Fyne Ale’s new look, set to be rolled out in the coming weeks, draws inspiration from its farm brewery status and rural location on a 4500-acre estate at the head of Loch Fyne. Not only will the brewery’s current core range, including flagship pale ale Jarl, be updated, but three beers have been added to the Fyne Ales’ year-round brews. From December 2018, the Argyll brewery’s Workbench, a 5.5% IPA, and Easy Trail, a 4.2% session IPA, will be available in 330ml cans, and North West, a New Zealand-hopped lager will join them as a permanent keg offering. Fyne Ales partnered with Glasgow brand and design consultants O Street for the project, working closely with them to create the new look – each beer features stylised textures created using photography from the brewery’s farm estate, chosen to help tell the story of the beer and brewery. Fyne Ales, which launched its small-batch farmhouse and mixed fermentation brewing project, Origins Brewing, in 2017, believes the new, more rustic branding will appeal to its current followers and new drinkers alike. 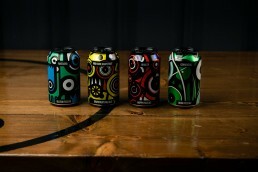 The brewery also revealed details of three bottled limited specials which will debut with the new branding – Remote Parts, a 7% West Coast IPA brewed in collaboration with Cigar City Brewery; Perfect Silence, a 6.9% red IPA and an 11.1% bourbon barrel-aged version of Brouwerij De Molen collaboration imperial stout, Mills & Hills. All three will be available in 330ml bottles later this month, with Remote Parts also available in keg and Perfect Silence in keg and cask. The new beers and updated branding will be supported with an ongoing sales and marketing strategy designed to increase brand and product awareness and increase the availability of the brewery’s beers. 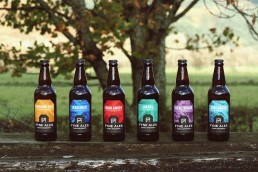 Activity begins today, with the launch of a new Fyne Ales website. You’ve recently changed the brewery’s branding. Why? We wanted our new branding to better represent who we are, what we stand for, our personality. We also wanted it to communicate all of that more strongly to the customer. We’re committed to making timeless styles with an eye for balance and finesse, we strongly value our independence and we love music. We really hope people love our new branding as much as we do. Which beer of yours gets you thinking ‘yeah, I’m glad I am a brewer’? That would have to be our Kölsch, Nico, which is our take on the traditional beers of Cologne. This beer has so much going on within it – it’s fragrant and light, with beautiful fruity esters from the Kölsch yeast, alongside herbal, slightly spicy Tettnang hops. Clean, balanced, dry and refreshing. Like Altbier, its an Obergäriges Lagerbier – warm fermentation followed by cold conditioning – genius. What are you listening to at the moment and what is so good about it? I’ve been hooked by the Lemon Twigs, Methyl Ethel and The Big Moon recently. Original, genuine, creative tunes with personality. Bands doing their own thing in the spirit of independent music. I’m off to End of the Road and Austin City Limits this year, so will hopefully discover some more new music. 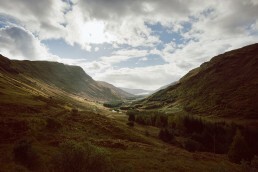 You took a van around Scotland and visited loads of breweries — what’s your next expedition? Cycle about London and visiting pubs with Barclay Perkins livery still on them perhaps? Brewing in London feels like a pretty exciting journey in itself, but we keep the spirit of travel alive with our annual team trips. Cologne, Düsseldorf and Bamberg have featured so far. Looks like Prague is the favourite next time around. Do you think it takes a certain person to be a brewer and what is that certain something? 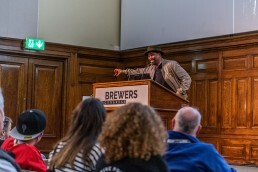 I got into brewing primarily because of the brewers I met on my tour. We probably all have our quirks, but share a passion for beer, a desire to create something special and a collaborative nature. It helps to let your heart rule your head most of the time. Where are you going on holiday this summer? 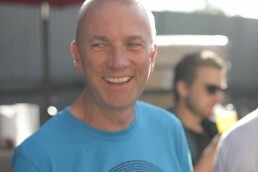 Actually, we’re off tomorrow in our camper van Brian – star of the Scottish brewery tour. Probably head to France, but the joy of campervanning is that you can enjoy the journey without knowing your exact destination. A bit like starting a brewery. First publishing in Issue 14 of Original Gravity. We all remember what it was like. You’re 12, and one of the most important veins of playground banter is repeating the latest sketch from your comedy idols. If you weren’t allowed to watch last night’s episode, you are no one. If you can remember more of the lines and catchphrases than anyone else, and get the funny voices right, you’re a classroom god. Depending on your age, for you, it might have been Monty Python, The Young Ones, The Fast Show or Little Britain. For me, it was adverts. In the space between Python and the 1980s alternative comedy boom going mainstream, ads on TV seemed funnier than the programmes. Terry and June may have been critically rehabilitated now, but it was hell to live through the time when it set the standard for sitcoms. Salvation came in commercial breaks. In the 1980s, it was considered rude to try to sell you something directly, so a good ad would make you laugh, move you or dazzle you, and then politely remind you of the product’s name at the end. Beer ads bossed the box. Christopher Biggins was a Roman emperor sinking pints of lager; a young Jonathan Ross drank Harp to ‘stay sharp’; and back in ancient Rome, the slaves rowing on one side of a galley were refreshed by Heineken, while those on the other were given ‘another leading lager’, and our school playground had its latest catchphrase. Around the boardroom table, eyes roll. Beer ads have had their teeth pulled. The Hofmeister bear has been shot with the fatal dart of regulation. His alleged crime? Being so popular that he made children want to drink beer. He didn’t make me want to drink beer; he made me want to do something far worse. He made me want to work in advertising. Fifteen years after chanting Heineken slogans in the playground, I’m in the boardroom of their ad agency. It’s my job to look after the strategic direction of the Heineken and Stella Artois ad campaigns. Advertising has a way of mangling the English language. It doesn’t have to invent new words when it’s happy torturing old ones. We often have conversations about who or what the ‘hero’ is in the ad we’re working on. Is it the housewife trying Daz instead of her normal powder? The frog in the Budweiser ad croaking out the brand name? Or could it actually be the product itself? Inevitably, ‘hero’ becomes a verb as well as a noun. ‘To hero’ the product is to put it centre stage and forget the distractions. Unfortunately, each time we try this with beer, it stands there mute and awkward. No one knows or cares what ‘cold filtered’ means or what ‘dry beer’ is. Just as I get my chance to work on them, beer ads start getting boring. In the 1980s, there were two commercial channels. Now there are hundreds. Even if you could somehow make a great beer ad, the mass audience that would see it has now shattered into a million fragments. Instead of wasting money on anodyne ads that no one will see, the great beasts of the beer world now spend their budgets on supermarket price deals. Where beer was once chosen based on its image, it’s now chosen on price. Instead of being loyal to one brand, there’s a range of ‘acceptable’ brands, and people choose whichever is on the best deal. 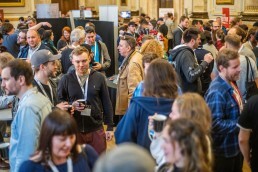 The words of Garrett Oliver flash across the global beer community thanks to sensationalist reporting of a chat about 2017’s most controversial beer style. Beer writers, bloggers and Instagrammers line up on both sides of a debate about the style’s validity. It’s the biggest argument over beer styles since the spat over whether ‘black IPA’ is a valid style. Having left advertising and now written on beer for 15 years, I realise that heated conversations about beer styles have been a common theme across all my feeds since 2010. 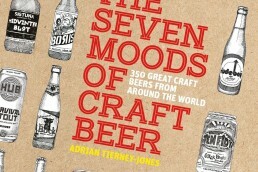 My last book was about beer’s ingredients. Every day on social media, I see professional writers and amateur drinkers alike trying to encapsulate the flavour of the beer they’re drinking. Finally, the beer itself has become the hero. 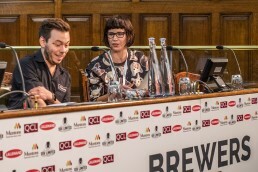 The big, commoditised brands that once had heroic advertising still dominate market share, but they look enviously at craft beer, at the buzz of excitement around it. They remember what it was like, and make half-hearted attempts to steal the language of craft, to reflect in its glory. 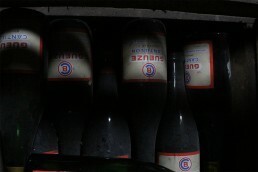 Beer is now bought and drunk on its own merits, rather than because of its manufactured image. The image of beer is as important as ever, even if it is now based on what’s in the bottle as much as what’s on the label. Several years ago travellers through the cider-lands of the USA (ok, Pete Brown and Bill Bradshaw researching their World’s Best Cider book) came back with reports of hops being added to cider. Just like the reaction to some of the stranger tales in Herodotus’ Histories, hops in cider seem outlandish. 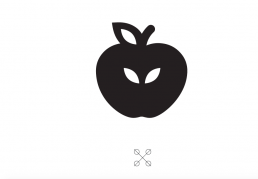 However, since then hopped cider has become a familiar sight in the world of craft cider, a spearhead, perhaps of what happens when cider meets beer as this three exemplary examples show. Mills Brewing always brew with wild yeasts. For this one, they brewed a pale ale in the lambic style and then fermented it on Tom Oliver’s cider lees (the sediment from the bottom of barrels of fermented cider) for eight months. The result is gently tart, distinctly, without being too sharp.